Damage DONE: Bitcoin Under Heavy ARTILLERY! This past week has been a textbook, 2018-style, highly intensive week. We’re well into the final innings of a business cycle, and governments, especially the U.S. administration, are not sitting idle – this rattles markets. The stock market, which has seen its first real shake-up in years, is now as attractive as it was 3 years ago, in 2015. Right now, every CPA in America is telling his clients two things: (1) how much is owed for 2017, and (2) how much will be owed in 2018, if the same profits were made and it is much less. When a CPA tells a client how much the tax cuts will save them, Trump’s approval rating goes up. You see, the tax cuts are making every company in the U.S. instantly cheaper, since the bottom line is growing for every publicly-traded corporation on the S&P 500 right now. Couple this with the 10% correction we saw recently, and the recipe for the markets to head higher is now as strong as 3 years ago. 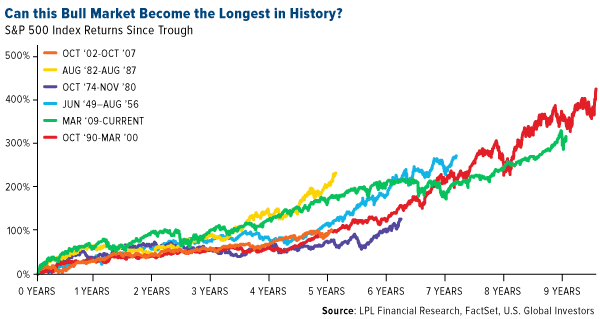 In 6 months, if the stock market doesn’t plummet by 20% or more, this bull market, which seemed impossible to most investors for much of the time, will become the longest ever.There’s an incredible lesson here to be learned – capital markets are based on valuations in the long-term, and in 2009, stocks were generationally cheap. Use this as a constant reminder that cheap assets don’t stay that way forever. Companies, which have attractive yields draw income investors, when they’re undervalued. Companies, which generate profits, but do not pay dividends, draw growth investors or get bought out and become private. Right now, Kimberly-Clark, which owns some of the most recognized brands on the planet is very cheap, for instance. Since I personally purchased over $50,000 worth of shares in 2018 alone, at an average price of $113.4, I’ll use this company, along with two others, as the model for our Fat Cash Wires options trading strategy, which I’ll publish in full this Tuesday. Wealth Research Group maintains its projection that the Dow-Jones will reach 36,000 points by the end of this bull market – that’s an upside of 42% from here. I’ve bought KMB shares, not only because they’ve corrected (prices can fall 20%, but still remain expensive), but because the value each share now represents in this business is very juicy, and I’ll explain this in detail on Tuesday. The damage, caused by the February correction, though, is done. Many are cautious again, thinking twice before buying the dip – investors have been either shaken out or traumatized by this volatility. One of the sectors, which are getting smacked in every way possible, is the cryptocurrency sector, but this is by far a remarkable buying opportunity. The truth is that major corporations, Morgan Stanley included, are looking for applicants with cryptocurrency knowledge. The blockchain technology itself is spanning and integrating into new industries. In a niche sector, such as this, one of the best ways to judge the sentiment is by looking at Google Trends. In December of 2017, Bitcoin was hot; it was searched by massive amounts of people, but now search traffic has crashed hard. The biggest blow for the industry came on Wednesday, when the SEC issued a statement that exchanges for cryptocurrencies and ICO’s must be registered. For all anarchists, this is a major setback – technology is gearing up for the release of decentralized exchanges, though. The CFTC has also come out with similar statements, which allows it to regulate cryptocurrencies as commodities. Pile all these regulatory fears together and you get one, giant brick wall, which the community is trying to surmount and adjust to. Back to stocks, I want to stress one crucial factor with bull markets, especially the one we’re in right now. From the market top of 1929, it took close to 2 decades for the stock market to recover to the same price point. In the 2000’s, it took nearly a decade. This time it will take more years to recover, since the millennials aren’t stock market savvy at all, as a group. Baby Boomers own stocks, but millennials don’t, and that’s where the huge discrepancy will come from, going forward. I see more buying coming from Chinese middle-class investors than from millennials in the decade ahead. What millennials’ consumption habits will drive forward is the growth of the cannabis industry, as well as artificial intelligence. Of course, the cryptocurrency sector is going to weather these temporary storms, because of the same reason – millennials. Wealth Research Group is preparing to make an aggressive move into cannabis, with our focus being California and our micro-focus being the most lucrative business model of all; the one, which made the Beatles rich. I’m currently in Costa Rica, and this Thursday, I’ll share with you several life lessons that I’ve learned here, but I did want to mention one thing right off the bat – Costa Rica doesn’t have an army, by way of the constitution. That is a rare achievement these days and one that should be considered by all nations. The people here are concerned with living a good life, and therefore, Costa Rica (meaning Rich Coast) is the most stable democracy in Central America with its most robust economy. I’ve met many foreigners, who’ve moved here and found great business opportunities. One of the reasons is that there is so much still to be developed. It reminds me of Thailand 20 years ago. Our economies are very different from country to country, and living in the western world gives each one of us a dominating competitive advantage, when utilizing the many effective systems used in our societies, which are obvious to us, but are not yet implemented here. In other words, many skills we’ve mastered fully are not even recognized here. To make it easier to understand, it is like an NBA player, who now plays with little kids. He’ll have a big advantage over them, which he can use to constantly win. Taking a road trip and looking at the many villages along the way brings up many lessons. Poor people, it seems, are always concerned with input, the amount of effort they make appears to them to be the measure of how much they should earn, but the wealthy are always concerned with output – how much value can be created. The time invested is irrelevant. Keep creating value. Our world doesn’t price the time you put into things, only how much value you export out. In fact, the less time, the better, since it shows efficiency. Become addicted with efficiency and look at output in everything you do. You’ll become wealthy in a matter of a few years. The best place to start practicing this is in your relationships with others. Don’t use many words; use the right ones and convey your message. Remember, using powerful language in ordinary conversation is the ticket to success for many millionaires – never catch your tongue off-guard. Expressing yourself in social, every-day and seemingly unimportant occasions, is as critical to your progress as the keynote speech. Each of us needs to make the best of the current circumstances and not “hold back” our best selves for when we reach the CEO position, otherwise we’ll never get there. Be bigger than your environment and soon you’ll be able to spot ways to reach better ones. HELD HOSTAGE: The KEY To Gold’s Breakout!